There were once many successful mills across all of New England. Dozens thrived in Connecticut alone. But as the world turns, times change. Over the years, countless of these once thriving industrial titans succumbed to darkness. But out of this darkness, light rises to meet it. For new life is now being breathed into these old mills. 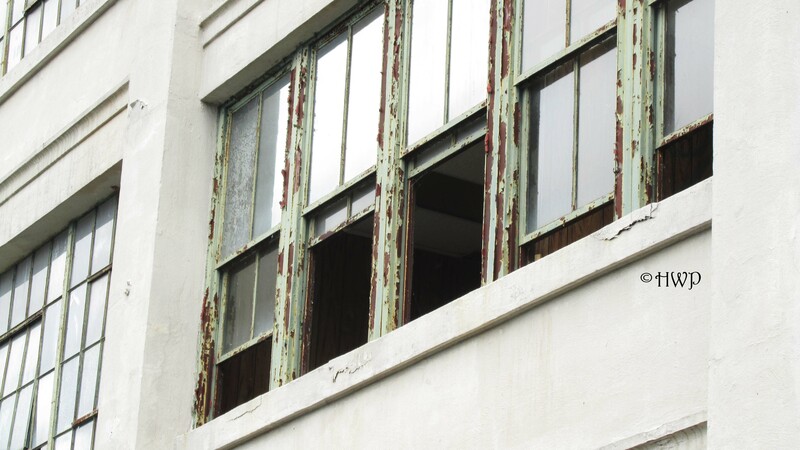 All across the region, abandoned mills are being redeveloped into apartment complexes. From the nearby Talcottville Mill, to several others across Massachusetts, this has become recent trend for construction firms. And each has found insurmountable success. But a new member is about to join their ranks – the once infamous Montgomery Mill. 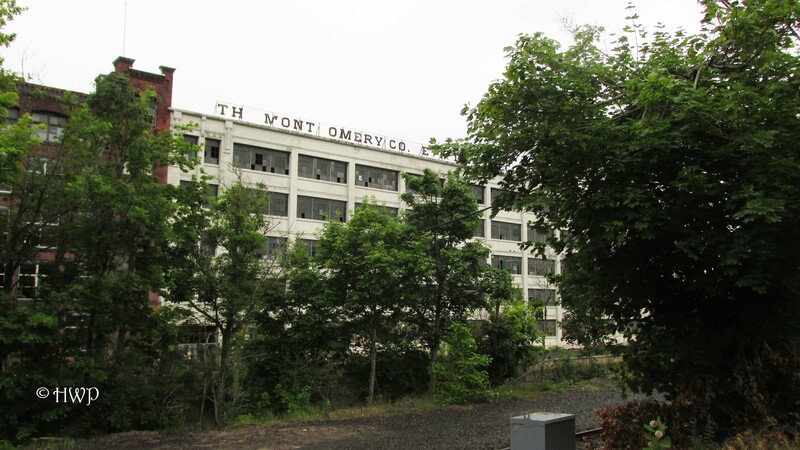 First built in the early 1800’s, the Montgomery Mill was once the jewel in the crown of the thriving town of Windsor Locks. It gave the people of the town jobs, and became the heart of downtown. Businesses and shops opened up all around the mill. In the mid 1900’s though, things began to change. The Montgomery Company struggled on for several more years, before finally closing its doors in 1989. Since that day, the factory has been a constant topic of debate amongst the townspeople and a playground for destruction. The property has changed hands several times between land developers and entrepreneurs over the years, but nothing has come of it…until now. With an expected date of completion being the summer of 2019, construction will soon commence on the formerly abandoned mill shortly. With its nesting bald eagles having moved out, the Montgomery Mill is now once again open for business. Naturally, we had to pay her one last visit before her dramatic reconstruction. Since the eagles moved on, the Connecticut River Canal trail was once again open, and it passes right alongside the old mill. 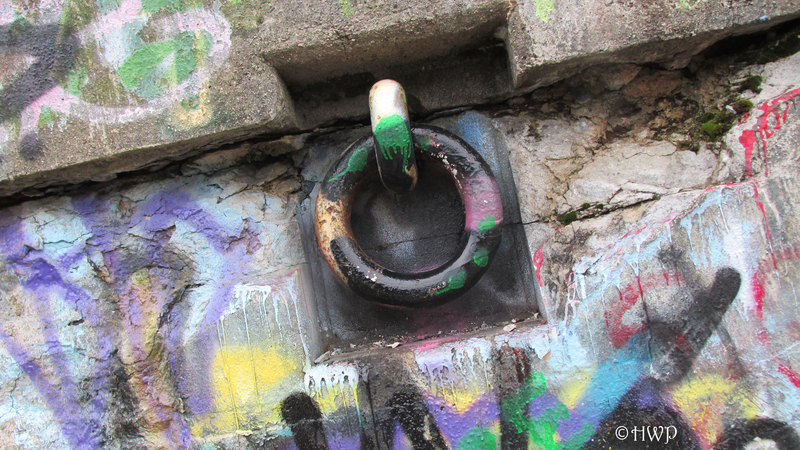 One thing we found very interesting was the new program inviting passerby’s to hang hubcaps on the walls of the mill, to cover nasty graffiti on the walls. But the old mill is definitely ready to move on, and we couldn’t be happier to hear of her redevelopment. It wasn’t so much saying goodbye. It was more like… see you later. 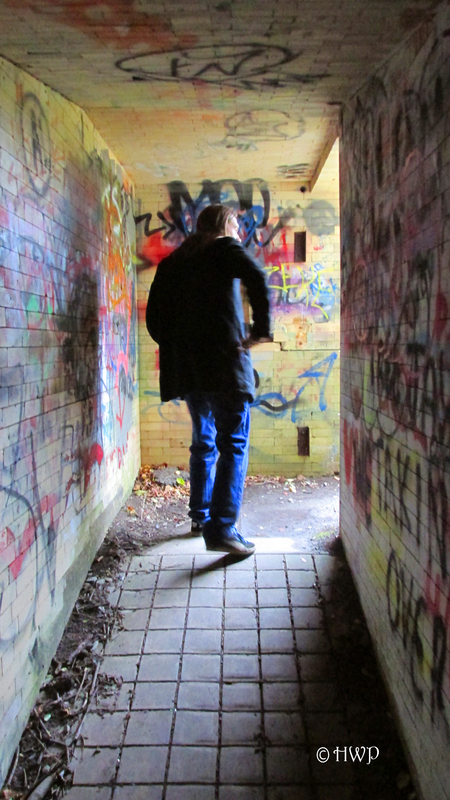 Written by – Sean L.
Photographs by – Amanda H.
Anyone who has ever visited an abandoned place knows that you are always guaranteed to find two things – trash and graffiti. While we’ve already done a piece on all the weird stuff we’ve found on our adventures, we thought we’d try a little something new here. 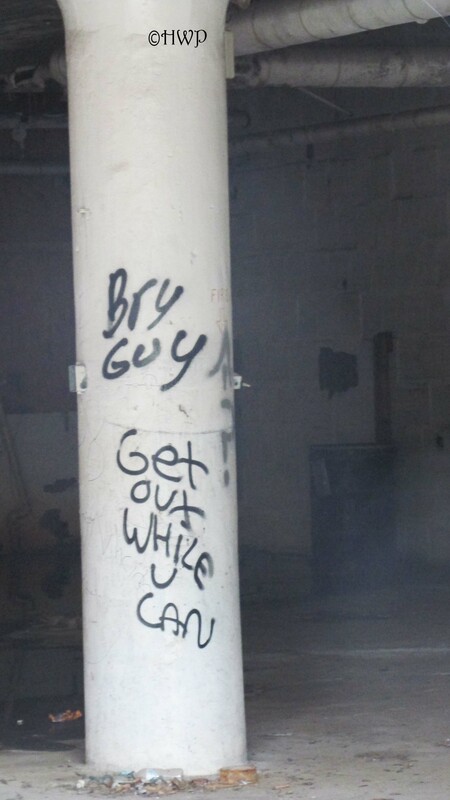 By all means, we are not condoning graffiti or vandalism. This is just some of the strangest, coolest, and most unique pieces we’ve ever encountered in our travels across New England. We don’t know what “CT FINEST” is. But this phrase was spray painted ALL over an abandoned factory. Connecticut’s finest what? It’s in all capitals. Which usually means they’re serious. Almost like they’re yelling at us. Interpret as you will. This one is for all you “Walking Dead” fans out there. 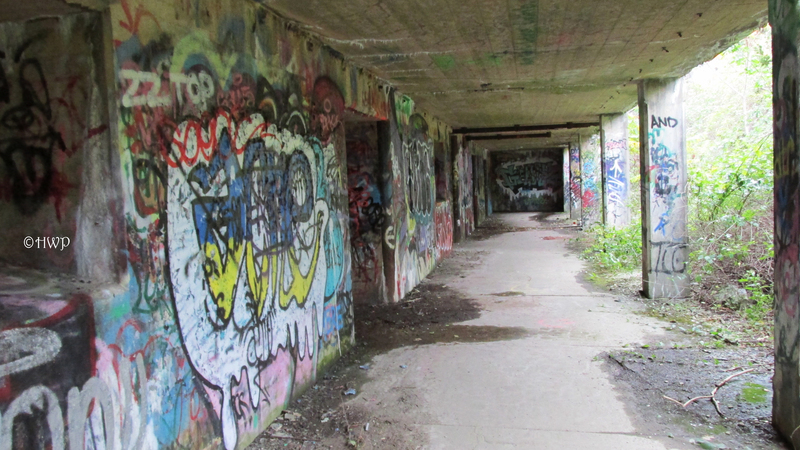 Luckily, we didn’t find any cannibals, zombies, or Governors at this abandoned military fortress. #7 – Zombie Hand Prints? I don’t know what this is or what happened here. But frankly, it looks really cool in a weird way. The white hand prints on the blood red wall, straight out of a George Romero movie. Simple as that. We find religious graffiti every once in awhile, but usually it is against God. Not in favor of him. Plus it’s written in what looks like red crayon. While I don’t care for their spelling, this was certainly a foreboding message to see while we were exploring yet another abandoned factory. Lucky for us, we got out just fine. This is one of the happier pieces of art we’ve ever seen. It isn’t dark, offensive, or nasty. It’s just a nice colorful dragon. He may not have eyes, but he’s very beautifully drawn. Enjoy it. There’s just something special about this one. It was written on the wall of an abandoned summer camp. Maybe it just strikes a nerve. Maybe it’s just different. Or maybe it’s because someone out there actually remembers how to write in cursive. We caught this one as the sun was beginning to set, and we just finished exploring an abandoned mental hospital. It has always been my favorite. I think the visuals speak for themselves. Go At Night. Have any that you would like to share? We’d love to see them! Follow us on WordPress, Facebook, and YouTube for more content! A special treat for all of our fans and subscribers. Thank you for being with us on all of our adventures this year! Please enjoy our first video, documenting the Top 5 Abandoned Places we visited during 2015. The state of Connecticut was once a place of industry. Factories and mills thrived for years in our little state. They provided income and jobs for small towns everywhere. But times change. We are now known as the “Insurance Capital of the World.” One by one, these former staples of the community slowly closed their doors as society continued to evolve. 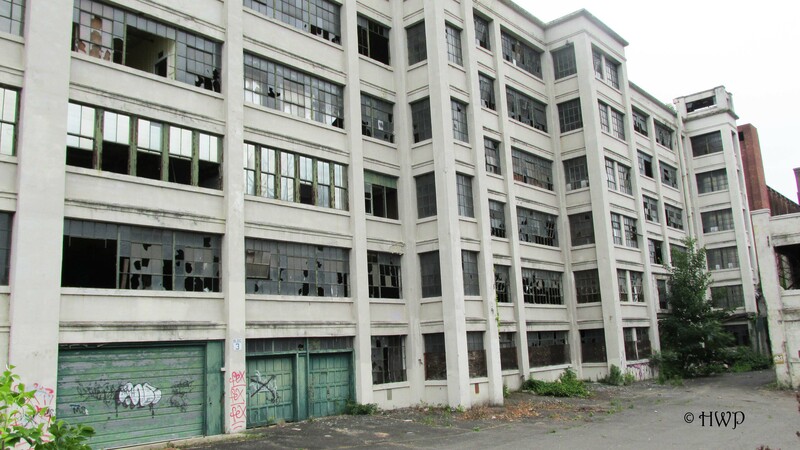 Today, these old factories now lie broken and forgotten all across the state. 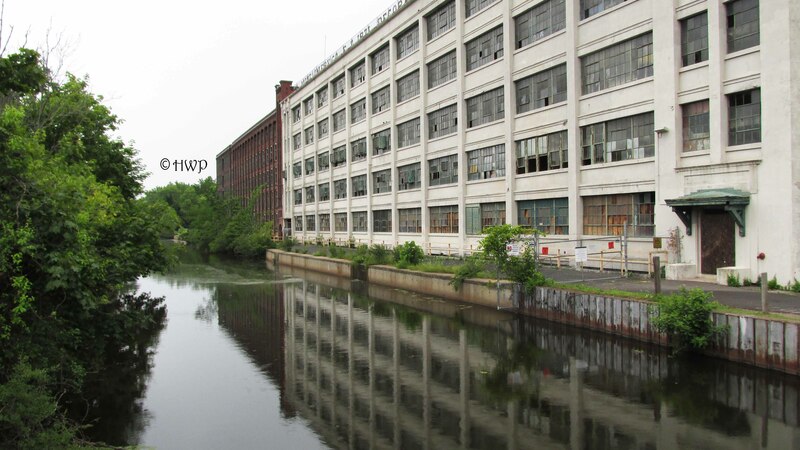 At one time, there were over seventy five abandoned mills in the state of Connecticut. Some, like the Montgomery Mill, stand looming over their small towns. They cast a shadow of the past across a growing community that tries to move on. We have explored several of these former factories over the years, but none have been as ominous, or as troubled, as the Montgomery Mill. From its haunting image, to its checkered history, the former factory stands in a class all its own. 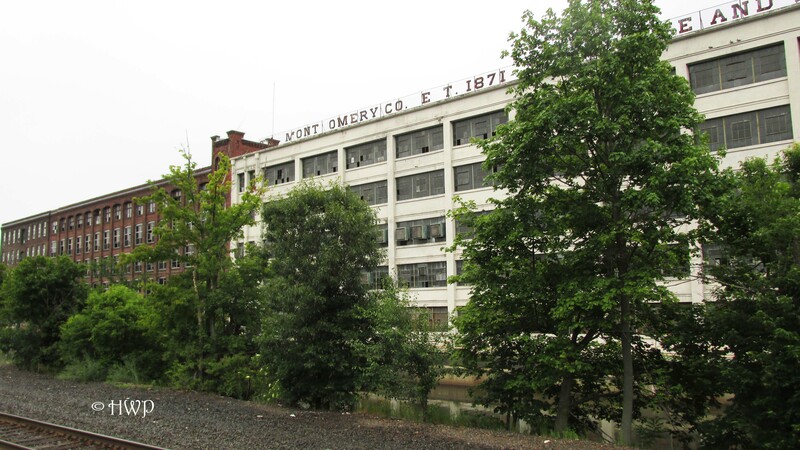 First built in the early 1800’s, the Montgomery Mill was once the jewel in the crown of the thriving town of Windsor Locks. It gave the people of the town jobs, and became the heart of downtown. Businesses and shops opened up all around the mill. In the mid 1900’s though, things began to change. During the 1960’s, the small town of Windsor Locks began to steadily decline. 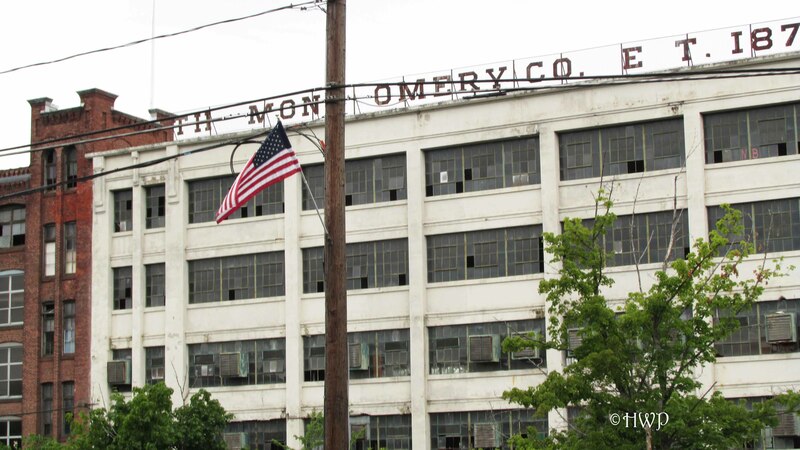 The Montgomery Company struggled on for several more years, before finally closing its doors in 1989. Since that day, the factory has been a constant topic of debate amongst the townspeople and a playground for destruction. The property has changed hands several times between land developers and entrepreneurs over the years, but nothing has come of it. 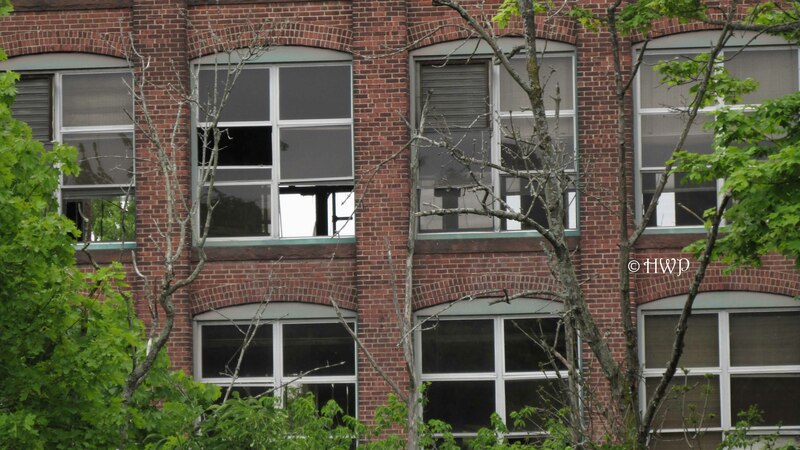 There have also been three notable fires in the mill complex; all were found to be caused by arson. The property has since become a seedy refuge for the local homeless, vandals, and scrap metal scavengers. Standing right alongside the banks of the mighty Connecticut River, the Montgomery Mill is truly a sight to see. Driving down Main Street, you really can’t miss it. The factory is huge, standing ominously over the small town beneath it. It casts a shadow over the entire area. Eerily reminiscent to some of the buildings of Prypiat, Ukraine, the place is hauntingly captivating. 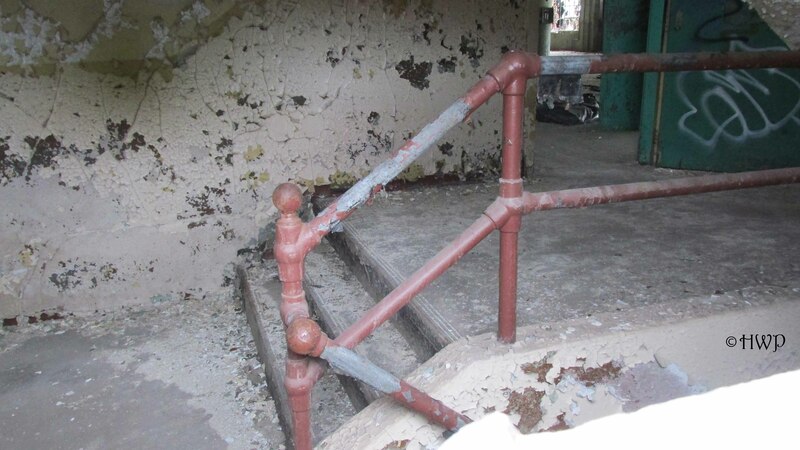 There are multiple buildings in the complex, each one lies in a state of utter decay. The main factory stands six floors. Windows have been smashed. Fences have been put up. Doors have been boarded up. Even a few letters from the buildings sign that once read “The Montgomery Co. Est. 1871 Decorative and Electric Tinsels” have been lost. 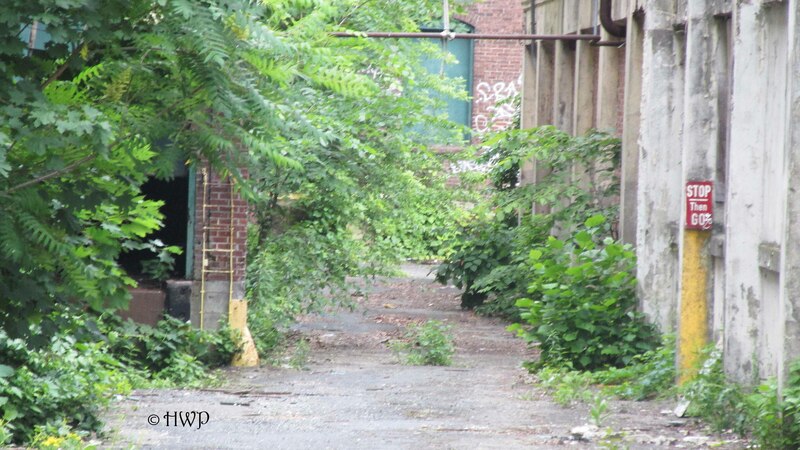 Wild vines and vegetation grow along the base of the factory, and even inside the basement. An old rusty fence protected by some jagged barbed wire and a faded stop sign block the entrance to the main complex. What makes the Montgomery Mill so unique are its new residents. Though the workers of the factory are long gone, the local bird population has taken up residence in the now empty halls. Squads of pigeons and doves line the rooftops and window sills of the mill, spying on all those that enter their domain. But they are not the ones that rule this roost. A family of Bald Eagles has taken up residence inside of the factory. Conservationists believe that they are currently raising several young hatchlings somewhere inside the main building. For this reason, it is forbidden to enter the factory. 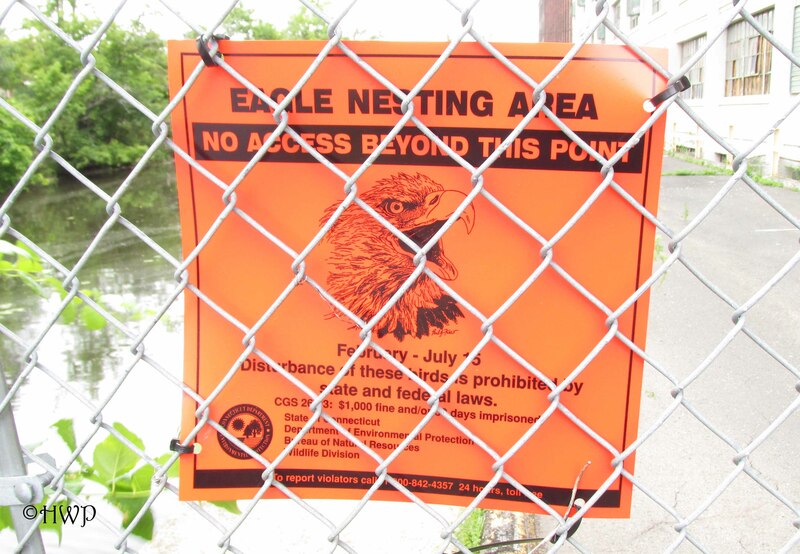 If nesting Bald Eagles are disturbed, they will abandon their young and instinctively never return to their nest. We did not enter the factory, and we urge all our fellow explorers to do the same. The Bald Eagle is an endangered species, and their space must be respected. Unfortunately, we were unable to catch a glimpse of them. Sitting in a state of beautiful decay, the Montgomery Mill stands as one of the more unique places we have ever visited. Even though we weren’t able to get inside of the abandoned factory, it is still worth a visit just to see this place. While the roaring river beside it continues to flow, the grounds still sit in defeat. Though many see it as an eye soar and sad reminder of downtown’s downfall, there is still a glimmer of hope for the property. The animal that captivates the American spirit and pride has chosen this former mill as its nesting grounds. When they move on, there are still plans for the town to finally foreclose on the property and begin the rebuilding process. Until that day, the Montgomery Mill stands waiting, casting its ominous shadow across the community. But much like the American Bald Eagle, the town continues to persevere, flying onward in hopes of a better tomorrow. Fire has changed the course of mankind more than most forces of nature. It has given life. During the early days of our evolution, it was fire that kept people warm. Fire cooked food, and provided a strong sense of comfort to early man. But it has also taken life. Over the years, roaring and out of control fires have caused untold amounts of damage and suffering. As quoted in Gareth Edward’s Godzilla; “The arrogance of man is thinking that nature is within our control, and not the other way around.” Forests have fallen. Lives have been destroyed. Empires have crumbled, all at the mercy of the fire. When the fire strikes, some rise from the ashes. Others lie in ruin. We discovered one such place on a shining spring day. Sitting alongside part of what is considered the most dammed watershed in all of North America, this once mighty paper mill was decimated by a raging fire decades ago. She has yet to recover from her wounds, and still lies severely scarred and burned. Welcome to the Norton Paper Mill. Originally owned by the locally prominent Norton family, the mill is believed to have been established in the late 1800’s. Its founder, C.H. Norton, inherited the property from his family and built the mill along the Jeremy River in what is now the Westchester section of Colchester, Connecticut. It was originally commissioned as a saw and grist mill. For many years, the mill had a very successful run producing all kinds of paper products for customers all over the region. Paper produced at the mill went into everything from books, binders, and even shoes. Throughout its existence, the Norton Paper Mill survived one large fire. However, it could not survive a second one. During the 1960’s, a purging fire caused massive amounts of damage and destruction to the mill, forcing it to close down for good. Since that fateful day, the Mill has become an absolute wasteland. While the river still roars past it, the dam built for the mill slowly crumbles along with the structure. Over the years, chain link fences have been installed and windows have been boarded up to keep trespassers out. But that never stops us. 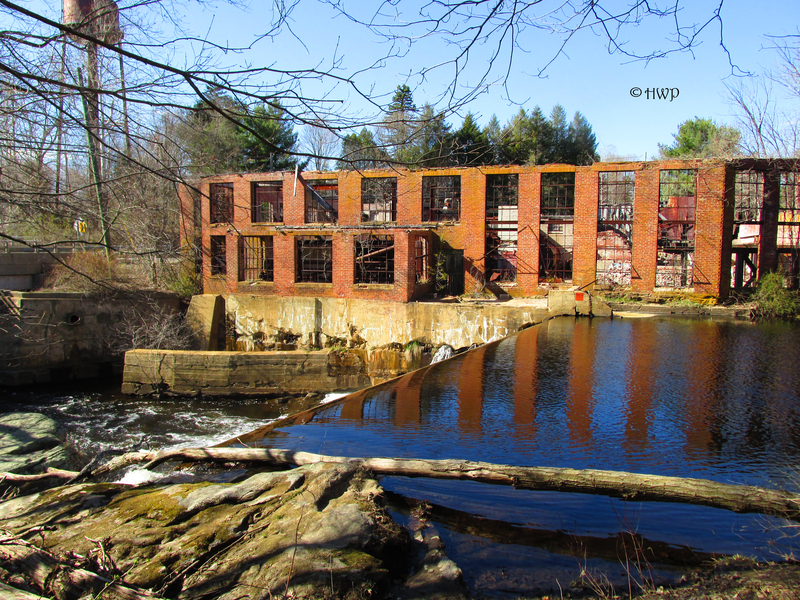 We visited the ruins of the Norton Paper Mill on a beautiful Saturday afternoon in late April. It is a short drive past the on and off ramps of Route 2 on Old Hartford Road in Colchester, Connecticut. The local Airline trail is also in close proximity. The ruins sit directly alongside the rather busy Route 149 in the rural part of town. When driving by, you really cannot miss the ruins. They are massive, and frankly quite noticeable. The roof is completely caved in, and a chain link fence spans the entire perimeter of the property. Though there are a few neighboring houses, we simply drove up to and parked beside the abandoned ruins. There was nobody around, and things were very quiet. “NO TRESPASSING” and “KEEP OUT” signs are posted all over the abandoned mill. Unfortunately, there was no real way inside without climbing over and hopping the chain link fence, which is against our policy. The interiors of the mill are in absolutely deplorable conditions, but they are very clearly visible from the outside though. There are two crumbling buildings that comprise the mill. Both are in a very derelict state of decay. Old and rusted equipment of all kinds is still inside, simply left to rot from many years ago. Large metal radiators and gauges have turned to a sullen brown with years upon years of rust damage. Several shelves of old tools and materials still sit inside collecting dust and decay. An old and rusted water tower stands in the distance, casting a shadow over the old mill. The damage from the fire is extensive, and still very noticeable. Charred and blackened pieces of wood are scattered amongst the wreckage. All of the ground floor windows are boarded up with heavy plywood. The higher windows all have metal bars on them, or have chain link fences positioned strategically behind them. The town of Colchester clearly does not want any visitors at the old mill, and they have good reason. The place is a wasteland, and clearly still very dangerous. The waters of the roaring river pore out of the slowly crumbling basement of the mill. It is only a matter of time before it all collapses. 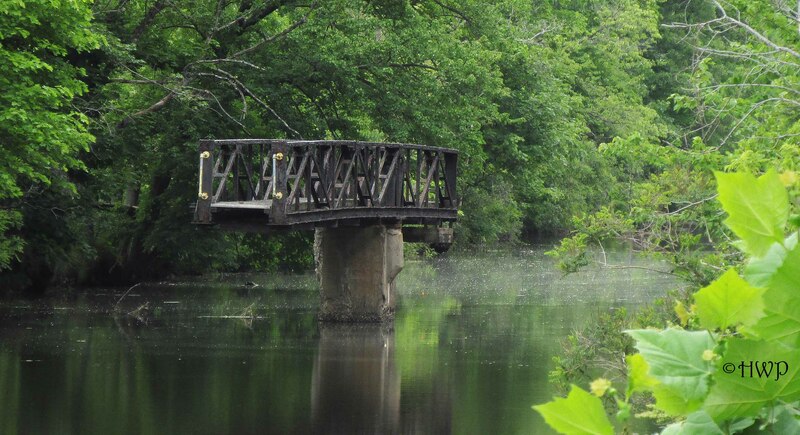 There is currently a strong movement amongst the townspeople of Colchester and certain environmental groups to have the mill demolished and re-commissioned as a state park. Apparently, the local Salmon population is unable to migrate using the James River due to the dam installed by the mill many years ago. Since the mill has long been out of business, there is not much purpose any more. The future will tell whether or not this movement will ever be successful. Though it is pretty much impossible to get inside the ruins of the mill without breaking in, it is still very much worth a visit. Since the great fire that caused its untimely demise, the old mill sits pretty much untouched by the hands of man. It is grim reminder of the true fury of the flame, and just how uncontrollable the forces of nature can be. The very thing that gave us life ages ago, was the thing that put an end to this once prominent business. The Norton Paper Mill still sits in smoldering defeat, just one of many things we lost in the fire.